To grill, use a chimney to start the charcoal – not starter fluid! One 3-inch chunk of light fruit-wood – pear, plum, or apple. 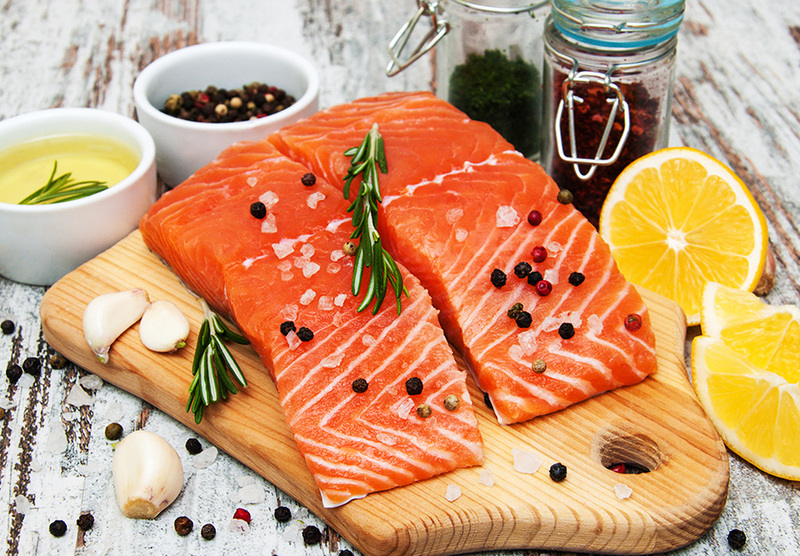 Soak the wood in water to cover for about ½ hour while you prepare the salmon. 1. Rub the flesh of the salmon filet with ingredients above and let it rest until coals are ready. 2. When all the coals are burning, pour them into one end of fire pit or grill and place the soaked wood chips on top of the fire. 3. Place a heavy griddle or cookie sheet on top of the grill, directly over the flames. 4. Brush canola oil lightly over the grill. 5. Place the salmon skin side down on the grill next to the cookie sheet (but not directly over the coals). 6. Close the lid, so that the fruit-wood smoke can work its magic. 7. The fish will cook from the smoke and indirect heat. 8. Cook salmon 10 minutes per pound. Do not turn. 9. Remove salmon from grill. Remember that the fish will continue to cook after removing it from the heat, so gauge your preferred doneness, tenderness, and succulence accordingly. 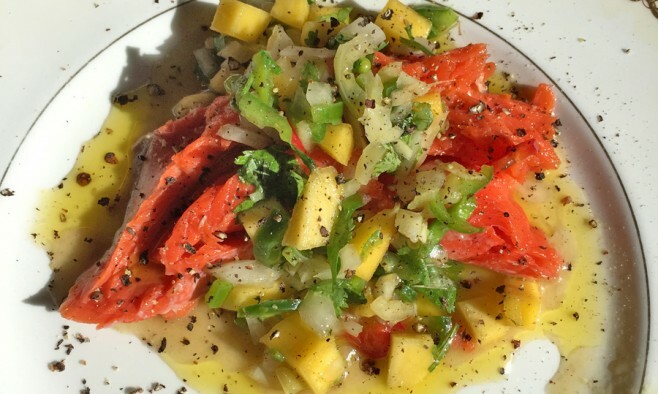 If you do not have access to a grill, you can steam, poach, or bake your salmon in the oven. 3. Spoon salsa over entire filet or single servings.